Tag Archives: Help! I cant do it alone! A Beautiful Inside Out Experience! 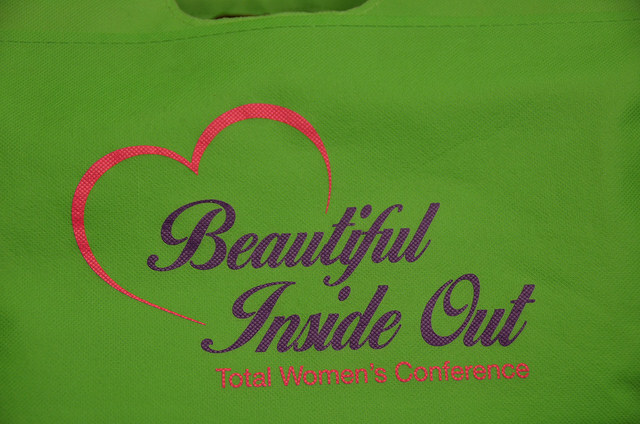 Awe inspiring and edifying moments at the 2015 Total Woman Conference. Have you ever witnessed the power of God move so graciously within you during the impartation of a message? You are listening to a speaker for the very first time, but yet it feels like the message was specially designed for you! Hmmm. Have you ever encountered the power of a group of women, all coming together to pray for each other, without reservations, boundaries or status! Just straight-up passionate about the emotional wellbeing of each and every woman represented, celebrating and elevating each other. 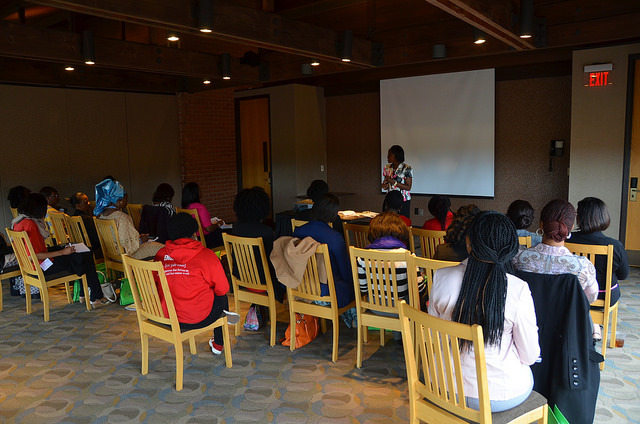 On Saturday, April 25th 2015 – there couldn’t have been any other place more appropriate for me to be than with over 120 women seeking the beauty and power of sisterhood in Christ! WORKSHOP: HERE I AM, SEND ME! 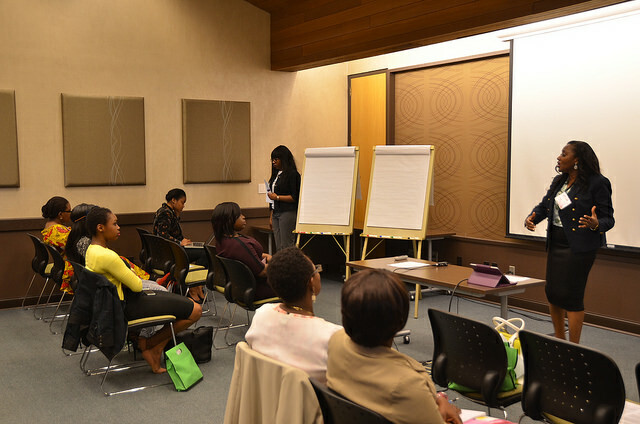 WORKSHOP: BEAUTIFUL WIFE/WOMAN, FULFILLED IN CHRIST. WORKSHOP: HELP! I CANNOT DO IT ALONE. 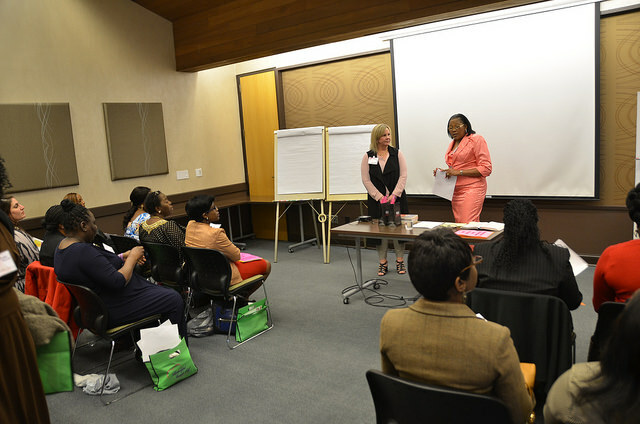 The speakers and workshops were specifically “Tailored to meet every woman’s needs! Intended to arouse their senses! Wake them up from any deep and un-productive slumber and choose life! Create hope in time of hopelessness! Re-define the sense of purpose! Call out and confirm it is okay to ask for Help when you need it, when you are overwhelmed with life itself! Convinces you that you are a Beautiful Woman and not to think your beauty is average or wait on a man to compliment you or wait on external adornment, but from inside by loving yourself first! Allows you to stand firm in your faith and still Be Bold and Beautiful no matter the challenges you have! Gives you a reason to believe you can serve more in God’s house by answering Here I am, Use me! Comforts you through biblical counselling and healing by helping you turn your abusive Ashes into Beauty! Sets up a spreadsheet to help you balance your Beauty and Finance! Explains to you in clear everyday terms that “Sisterhood deeds should uplift and not upset our mindset! And finally that there’s a CAUSE for every undertaking we put before our destinies! Wow! What an awesome weekend! One I shall always live to remember and pass on to the generation after me! Who knows? ‘Amidst all the planning and preparation, a single soul that wandered away has joyfully returned to God! 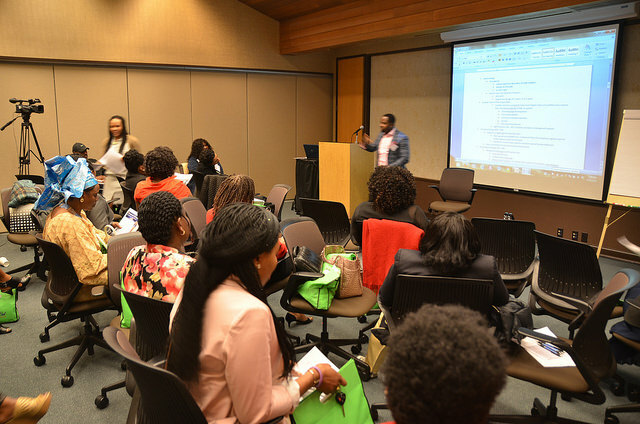 Just because a bevy of beautiful souls were so determined to make a change in their generation! 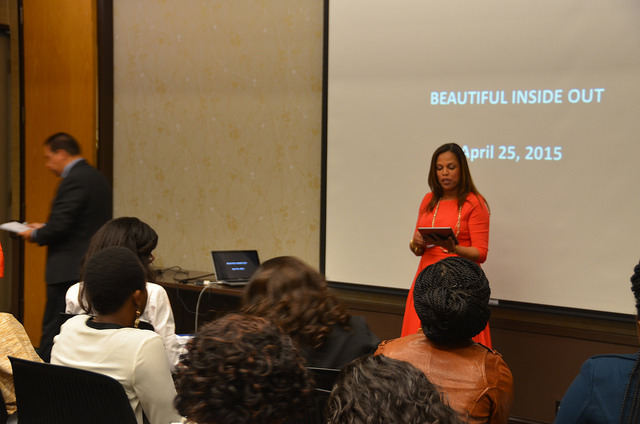 WORKSHOP: BE BOLD, BE BEAUTIFUL! So, as I have been rewarded with the most amazing committee members under the leadership of my Pastor; As I have been so blessed by all the speakers; As I have been so impacted by the ministration; I pray that the divine visitation of the Holy Spirit that came upon every woman present (as they supernaturally pushed out their overdue agony, pain and grief) will continually strengthen and sustain us all. 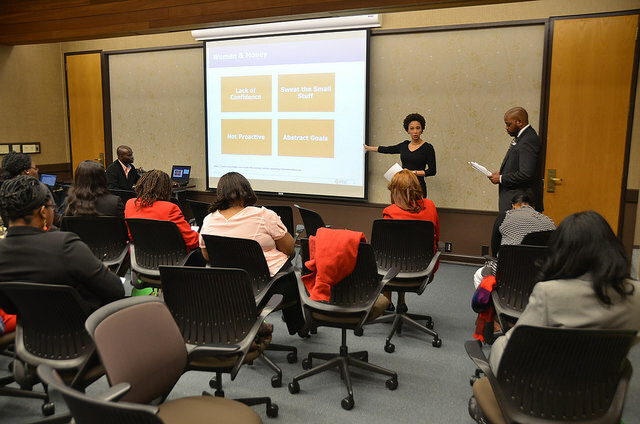 April is “AUTISM AWARENESS MONTH” (why every WOMAN should attend the upcoming AUTISM support workshop) Part Two. What I noticed as I walked in was a toddler laughing and spinning around with a stuffed animal at the end of her outstretched arms. She had that kind of pure laughter that made me smile just hearing it. I was ushered in by her tensed parents as I pulled out my hands for a firm handshake, something I usually do to help calm my client’s family, especially when they’ve just received a diagnosis of Autism for their child. Their beautifully decorated living room had every wall covered with pictures of Alana from child-birth; some were craftily captured in black and white prints, with focal point on the child’s contagious laughter. I sat back and observed my little client for a while. I’m not sure she even noticed me. Halfway through my pile of paperwork (Developmental Behavioral Assessment/M-CHAT/ASQ) with her parents, I heard the girl shout, “Elmo! ‘Love Elmo!” her speech was stifled and seemed mumbled, under water-like. “Oh hi. ‘I love Elmo too! I whispered in exaggerated excitement, “Do you want to play with me?” I went down on the floor and sat next to her, not looking into her eyes or invading her personal space, just showing her my folder with the picture of Elmo in it! She didn’t answer or object, but gently touched the folder and looked away! That was a go-ahead-show me sign from her! Yes!! (I was totally thrilled). A relationship was built! trust was established! sensory impact was initiated, boundaries were set! and the tears began to fall from her mother, as I smiled up at my newly acquired friend. That was 2 years ago… Alana, the 80th kid with Autism Spectrum Disorder on my caseload was as equally special and beautiful to me as all the other children put together in my entire life time! Today, she’s progressing well and is a very healthy five-year-old, last time I checked with her mom, “oh, she sings “let it go” in her own very special way! …well, literally! And also receiving support through Autism Speaks Group. Awesome! 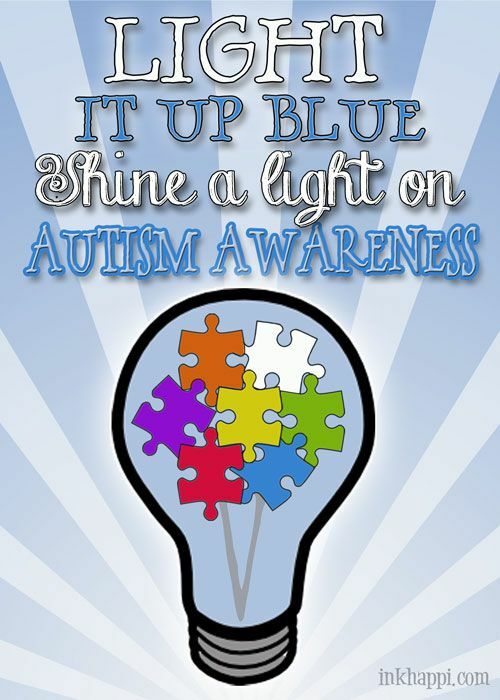 April 2nd is World Autism Awareness Day and Light It Up Blue! It is celebrated each year and adopted by the United Nations in 2007 to shine a bright light on autism as a growing global health crisis. Autism is one of only three health issues to be recognized with its own day by the United Nations to increase world knowledge of autism and impart information about the importance of early diagnosis and early intervention. So, if you noticed a child has lack of or delay in spoken language, repetitive use of language and/or motor mannerisms (e.g., hand-flapping, twirling objects, consistent rocking), Little or no eye contact, Lack of interest in peer relationships, Lack of spontaneous or make-believe play or Persistent fixation on parts of objects.. Chances are you know an Autistic child or have encountered one somewhere. It’s not easy knowing what to do or how to respond to the quirks (or outbursts) of an autistic child. Public tantrums are par for the course with these children. How many of us have seen a kid have an outburst while their embarrassed parents try to get control? Well, ratchet that up a couple of notches for autistic kids. Their tantrums can get rough. Don’t …gape and stare at the child and parent, saying “Can you believe that kid?” faces. And especially don’t make comments or tell the parent, “Can’t you control your kid?” Just go about your business. Or if you catch the eye of the child’s caregiver, just flash a smile. Or offer to help! It can work wonders. Honestly, you haven’t met anyone so unique and exceptional until you encounter a special need child. Their love is pure, genuine and transparent. You see through their little eyes rays of hope and unquestionable bewilderment. What you see is what you get! So, instead of staring at the “un-believable” sight or scene, why not give emotional support. Be that imaginary horse to be ridden on or be their knight in shining armor who sings of their praises, it helps build their confidence. Reach out this month – to a special need child and family. ***(Dedicated to all my 100 Autistic caseload children and their families from over 11 years! – ‘I am (still) Lighting it BLUE for you this month and (still) believing God for a miracle!) Love you all for real! Help! I Can’t Do It Alone! on Saturday, April 25th 2015. Please visit http://www.rccglivingspring.org for more information. “Autism spectrum disorder (ASD) and autism are both general terms for a group of complex disorders of brain development. These disorders are characterized, in varying degrees, by difficulties in social interaction, verbal and nonverbal communication and repetitive behaviors.